PRWeb is a press release distribution service covering major search engines, such as Google, Yahoo!, and Bing, as well as to thousands of journalists, bloggers, and PRWeb subscribers. It provides users with editorial proofreading services and a 24-hour turnaround time for all materials submitted. We compiled PRWeb reviews from our website and around the web and determined that it has a mix of positive and negative ratings. We also compared the most popular pricing options for small business owners. Ready to learn more? Visit PRWeb. Users who gave PRWeb a positive review said that it is easy to navigate within the website, submit press releases, and target particular regions and topics for their news. They also commended the editorial proofreading services provided by the company. Users who gave PRWeb a negative review complained about system processes that slow down the distribution of their materials. They also complained about additional fees for using its same-day distribution service. A user who left a positive review of PRWeb on G2 Crowd said that the website makes uploading press releases quick and easy. She shared that the editorial team provides excellent support in proofreading materials to ensure that it hits all the important parameters. She also commended the distribution reports for providing insightful information on the performance of their news release. A user who left a negative review of PRWeb on Trust Radius said that the service’s requirement to have authorization from companies mentioned in the news release can slow down the distribution time. She also shared that users have to pay an additional fee to have their news release distributed on the same day. PRWeb has 4 pricing options that range in price from $99 to $389. If you decide to go with a higher priced plan, you will get your press release sent to a greater number of targeted industries and regions. You’ll also have your press release distributed to more websites. Check out the list below of some of PRWeb’s features. 5 Best Free Press Release Distribution Services 2018 — Free press release distribution services syndicate your press releases to a network of media outlets at no cost. In this article, we reviewed the five best options based on the size of distribution network, level of customization, and ease of use. Press Release Definition [+ How to Write & Send] — A press release is an official statement about your business sent to journalists and media outlets that informs a relevant audience about newsworthy information. Read on to learn how to properly write one and send it to media agencies. Top 30 Press Release Distribution Tips for Maximum Exposure — One of the easiest and most effective ways to share exciting news about your company is by distributing press releases to journalists. To help you with ideas on how to creatively pitch to the media, we asked top PR professionals to share their favorite press release distribution tips. Free Small Business Software: 35 Tools For Simplifying Your Business — There are a lot of free tools that can help you keep your expenses down. In this article, we shared some responses from small business owners who use these free tools to make their business processes easier. How do I start submitting press releases to PRWeb? Users need to create a free account first or log in to their existing PRWeb account. Once logged in, they need to choose a press release package before they can create and submit their news release for editorial review and distribution. What types of news releases are accepted by PRWeb? PRWeb typically accepts strong news announcements, soft “feature” news, and newsworthy information about a tip sheet, website, or whitepaper. PRWeb does not accept releases with inflammatory, sexually explicit, spam, anonymous, and fictitious content. How long before my news release gets distributed after my submission? For the Standard package, press releases are distributed after two days. For the Advanced and Premium packages, users may select the option to have their news release distributed the following day. 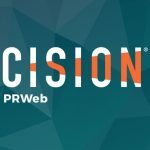 This video provides a brief tutorial on how to use the Cision PRWeb Distribution package. Not sure if PRWeb is the right fit for you? Read our reviews of all top press release services or check out one of these three PRWeb alternatives. Review SourceFitSmallBusiness invited user to leave a review and offered a nominal gift card as a thank you. What does the company do well? I love the simplicity and the price range. It is so easy to use that there are no excuses not to use it. Simple, and so powerful if done regularly. I am not the current user, as now I hire a PR agency who does the work for me, so I cancelled my subscription. What does the company not do well? There is nothing I dislike. The service is simply perfect. What do you wish you had known about the company before using? I had this platform recommended by a friend and never regretted signing up. ReplyLog in with LinkedIn to Reply. Verified Review This reviewer provided a screenshot to verify they are an active user of the product. PRWeb allows small businesses on a budget to get their news out widely and support other efforts to achieve earned media coverage. It’s a cost-effective alternative to similar services. It’s easy to use and allows you to include an image. It helps your press release appear in search engines (helps SEO). They recently raised their prices and changed the way you submit releases. I can’t think of anything. I would say to companies using PRWeb that an effective PR effort is based on more than just issuing releases on a wire service. The press release distribution experience is simple and intuitive. Representatives are easy to get a hold of and respond in a timely manner and a great at catching copy errors. I really can’t think of anything. I haven’t had a negative experience yet. Great resource for client press release distribution. We like the multimedia integration to releases as they are SEO friendly and easy to share on social media platform. As with most PR, the true coverage is garnered by calling media individually and offering your news with a story pitch or angle. Cost is per release and affordable. Basically you are paying to get your article up on their site. Its a high price but its there forever! A forever back link is fine.